The Samsung Galaxy Nexus will go on sale in the UK this Thursday, the 17th of November, and now UK mobile operator Three has put the device up for pre-order, and it is available on both their monthly plans and also their pay as you go plans. Three are offering the Samsung Galaxy Nexus for free on a new 24 month contract which costs £40 a month, they are also offering the device on the pay as you go plan for £499.99 up front. 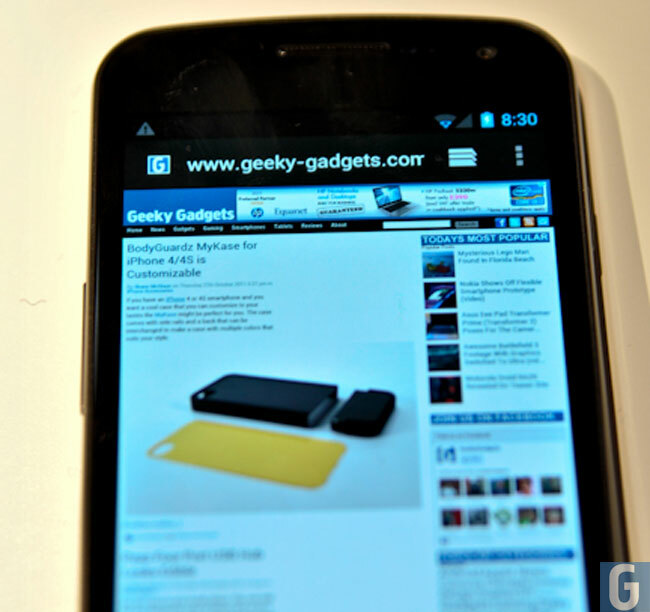 The Samsung Galaxy Nexus, is the fist smartphone to launch with the latest version of Google’s Android OS, Android 4.0 Ice Cream Sandwich, and it features a 4.65 inch Super AMOLED HD touchscreen display with a resolution of 1280 x 720 pixels. Processing is provided by a dual core 1.2GHz processor and it also features an advanced 5 megapixel camera with an LED flash and auto-focus, the camera can record full HD video in 1080p.